<< Back Two tone grey/off white. This is as good as they come. Fitted with essential electronic microphone. This is totally un-faded and in as near perfect as you will find. 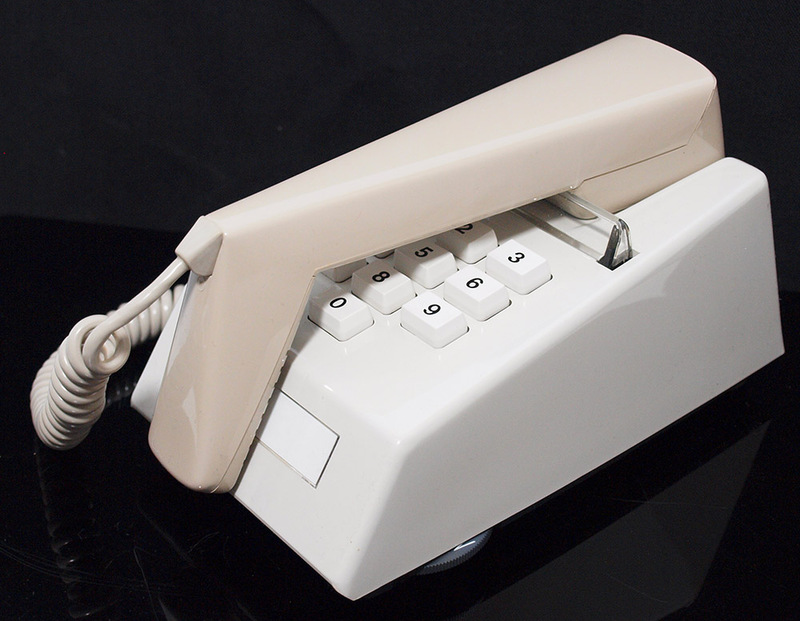 It was manufactured in 1976 and has the 10 button pulse dialling key pad. It has been stripped down and re built after each part has been cleaned and polished. 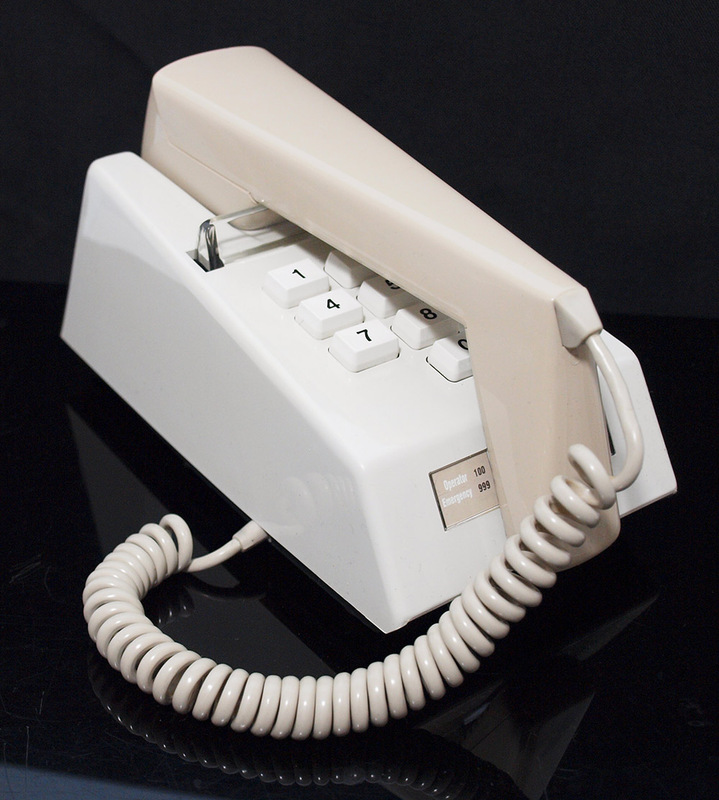 It is fitted with resistor to keep the warbler from hogging all the telephone current. It is fitted with an electronic microphone to bring the speech quality up to near digital quality. The electronic microphone is essential in my opinion and unusable without this fitted. I can make a label with your information and so on checkout fill in the dial label info. 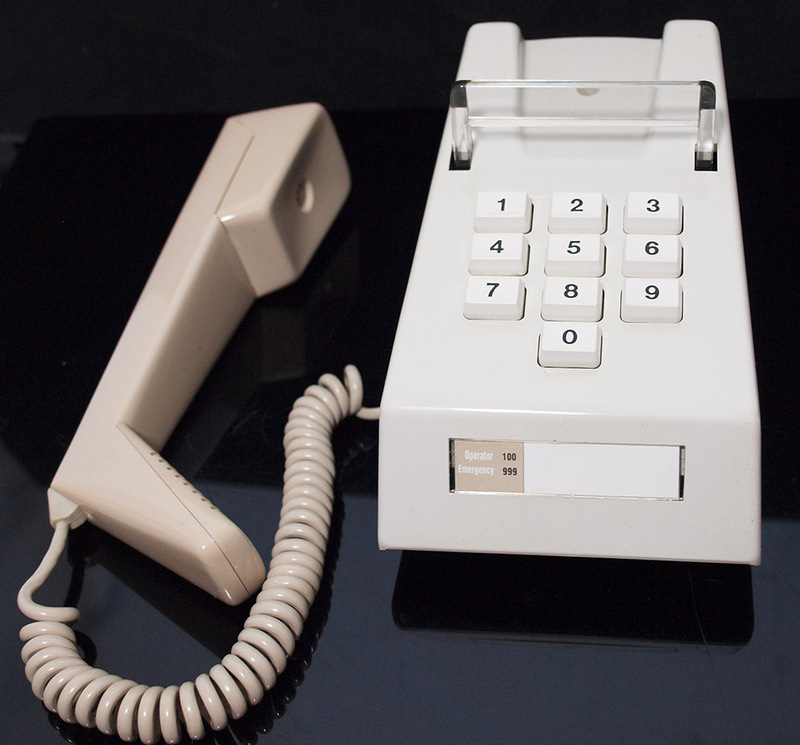 Pulse dialling only and so if you need to call your bank etc you will need to turn your digital on to press the tone buttons.